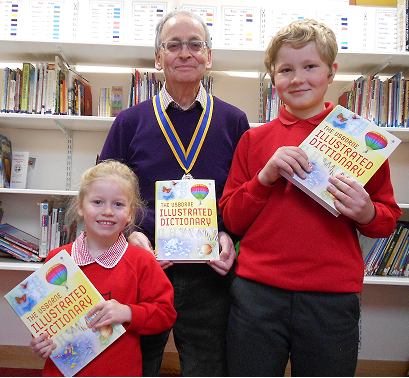 Mr Ian Haigh, President of Oswestry Rotary Club visited school to present Usborn Illustrated Dictionaries to each class today. Daisy Nash from St Francis Class and Jake Milner from St Martins Class received these on behalf of the School. Mrs O'Dwyer thanked Mr Haigh and his fellow Rotarians not only for these dictionaries but also for the ongoing support the Club gives to the School.